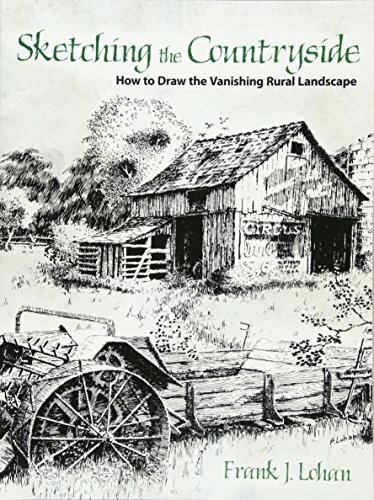 Artist and author Eric Sloane (1905-85) portrayed bygone rural America and its tools, structures, and way of life. He shared his honest appraisals and overwhelming affection for our rural heritage in more than 20 books and thousands of drawings and paintings. Some of the things he wrote about still exist, although each year sees the further decay and destruction of many such relics. Since my teen years, I've enjoyed drawing the textures of old barns and farm buildings and their settings in the landscape. I know I'm not alone in this delight, so the primary purpose of this book is to show how to draw such subjects (including artifacts from other countries).Many historic outdoor museums maintain early buildings — Williamsburg and Great Smoky Mountains National Park are just two — where you can still see and feel and savor things of the past. A Detroit-based industrial electronics engineer, Frank Lohan turned his lifelong interest in sketching and painting into a career in teaching adult classes in art.